The scholarly library, which is today operated by J. 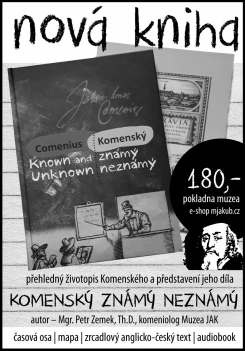 A. Comenius Museum, had been created together with the Uherský Brod Museum Society after 1898. Initially, it was a reference library from which the Museum Society’s members and associates could borrow specialized books; later it was opened to the public. The initial collection of the books came from donations by its founding members. Hence, it reflected the professional fields of interests of Jan Kučera, Josef V. Hauerland, F. Prager, F. Rajchl, A. Hladký, and others, specifically: archaeology, ethnology, history, philosophy, sciences, and literature. The collection of the books has been replenished, mostly with gifts from citizens. Occasionaly, the Museum acquired a complete library, e.g. that of JUDr. Vítězslav Houdkek, a lawyer and local historian, containing 250 legal and historical books including those written by Moravian historiographers of the 17th and 18th centuries (Bohuslav Balbín, Tomáš Pešina, Pavel Stránský, Jan Dubravius, F. J. Beckovský, J. J. Středovský, G. Dobner, M. A.Voigt, et al.). 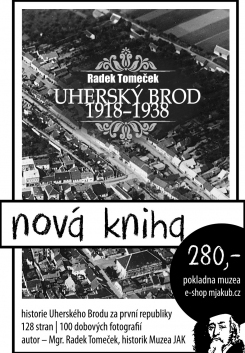 Currently, the library has more than 30,000 volumes sorted out by topics: writings concerning Uherský Brod and the region, Comeniology, history, ethnography, literature, religion and church history, dictionaries and encyclopaedias, sciences, law, geography and maps, agriculture, militaria, etc. A separate collection contains ca. 1,000 journals (professional and popular) and newspapers. The archive of the regional documentation is part of the library, containing posters, invitation cards, minor non-book prints, and clippings. Currently, the collection is being inputted into a computerized catalogue. Another collection kept in the library is a set of so-called teachers’ speeches, i.e. special lectures, which Czech teachers were supposed to prepare between 1957 and 1992 to prove their teaching ability. Beside ordinary speeches we can find here also valuable sources of experience and inventive ideas. At present the catalogue exists only in the form of typed cards. In 2002, a special collection of old prints and manuscripts was singled out (so-called Historical Collection fond), which contains manuscripts and prints originating before 1800. Today it has ca. 600 items, including 5 incunabula and 7 maps of Moravia (e.g. by Pavel Fabricius and John Amos Comenius). This collection, too, manifests the interests of former and current collectors (theology, philosophy, works by J. A. Comenius, law, geography, travelogues, Holy Bibles).